Is it worth doing a podcast if nobody listens? But your podcast hasn't quite taken off like you thought it would. This book is for podcasters who can't quite figure out what they're doing wrong (and are ready to do things right). It's easy to screw up an interview. To be sure you don't run into any problems, use my "guest contract" on p311. Nervous on the mic? 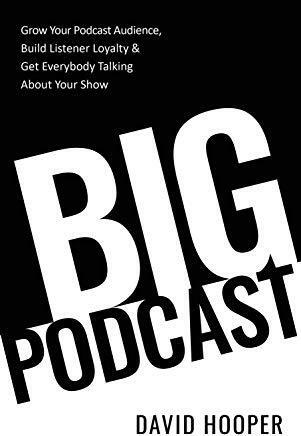 You have lots of company - 75% of podcasters to be exact. I give you a 5-step way to cure your "stage fright" on p229. Thinking of doing a "daily" podcast? You must read p103 before you start. This book contains my complete system on how to attract listeners, deliver your message effectively, and build a big podcast. You can't build a big podcast on "hope." But you can build a big podcast. And if you're ready to do just that, read this book.